Honest, funny, and unafraid of the messy, real-life facts about a girl's changing body, this is definitely not your mother’s puberty book. 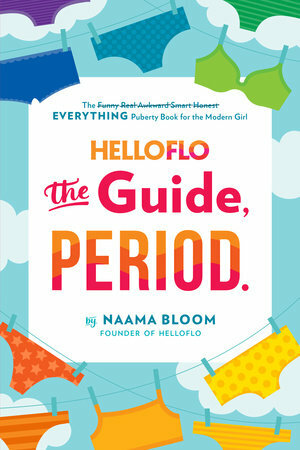 HelloFlo founder Naama Bloom’s mission is to create informed, empowered young women who are unafraid to ask questions and make the best choices for themselves and their bodies. A celebration of women's bodies and all the confusing, uncomfortable, silly, transformative, and powerful changes that occur during puberty. This full-color book—written by HelloFlo founder, Naama Bloom, and journalist Glynnis MacNicol—features bright, diverse, approachable illustrations and infographics, doctor-vetted information, and personal testimonials from real girls and women.